After Duck Dynasty’s Mia Robertson underwent her recent facial cleft surgery, the Robertson family has started a non-profit organization to help raise awareness and to help fund research for children with cleft lips and palates. 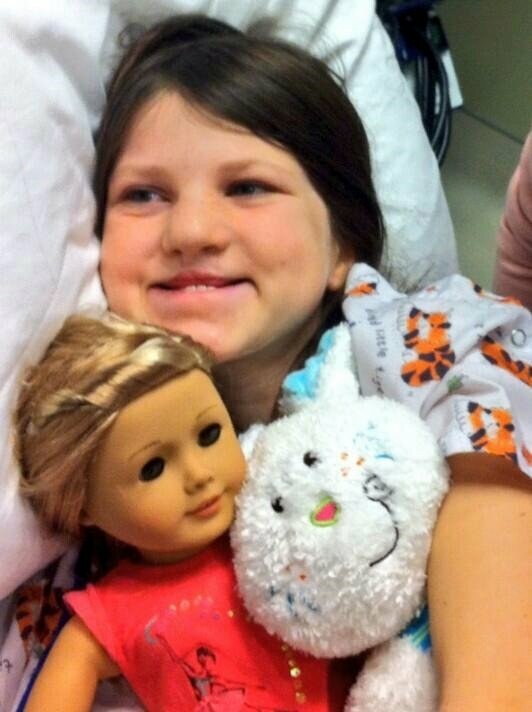 Missy and Jase Robertson’s daughter had surgery on January 3, and is recovering speedily. Mia Robertson, now 11, was born with a facial cleft, and had her first surgery when she was just three months old. Cleft lips and palates form in the womb, resulting in a gap in the upper lip or the roof of the mouth because the tissue did not fully form during early pregnancy. Jase and Missy Robertson started the Mia Moo Fund, a non-profit organization to help raise awareness and fund research for causes and treatments of cleft lips and palates. Wednesday’s Duck Dynasty Season 5 finale will center on Mia Robertson’s journey with a facial cleft and highlight how her family has rallied around her in loving support and prayer.